For nearly four decades, fans of the late singer Elvis Presley have made a solemn procession past his grave at his Graceland mansion during the annual candlelight vigil commemorating his death, without paying a penny. This year, on the 40th anniversary of the rock n' roll icon's death, it's going to cost them $28.75. Many fans are not happy. Visitors who plan to attend the vigil beginning Tuesday night and running into Wednesday must have an Elvis Week Property Pass wristband to walk up the long driveway and past the graves where Presley and relatives are buried, Graceland told the Associated Press in a written statement. The $28.75 wristband also provides access to a new $45 million entertainment complex at the Memphis tourist attraction. The newest addition to the Graceland Estate is a must-see for any Elvis Presley fan. Graceland, operated by Elvis Presley Enterprises, says it anticipates large crowds and it has updated its security measures for Elvis Week, the annual celebration of Presley's life and career in music and movies. 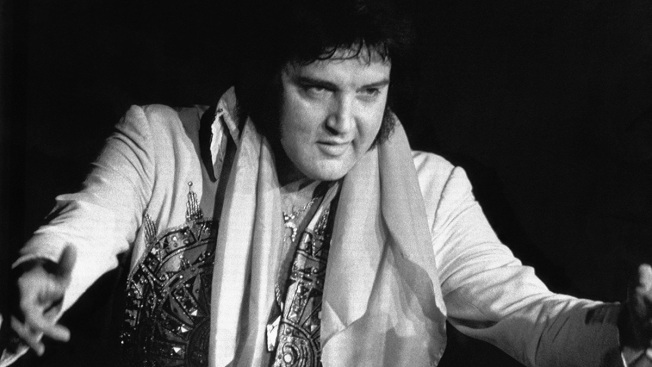 Presley died on Aug. 16, 1977, in Memphis. "In order to keep everyone safe and ensure an enjoyable and meaningful event for all, we have worked closely with local, state and federal security authorities to establish new procedures that have been widely used across the U.S.," Graceland's statement said. A few Presley fans made a pilgrimage to Graceland the year he died, and they've continued coming ever since. Graceland says it averages 500,000 visitors per year from around the world, and attendance for this year's vigil has been projected at 30,000 to 50,000. The announcement surprised fans who didn't know about the charge when they made plans to come to Elvis Week. Some reacted with angry messages on social media, saying they won't attend another vigil. Longtime fan Fred Schwarz of Springfield, Illinois, said Tuesday that he and his wife have been to several vigils and have enjoyed them. But not this year. He says fans should be insulted at the new charge. "I looked forward to going down there this year, and they come up with all this," Schwarz said. "I don't want to even go to Memphis anymore. The people running that are not Elvis fans. They are in business. Corporations, they want the bottom line." Elvis Presley Enterprises was created by the Elvis Presley Trust to manage its assets, according to Graceland's website. 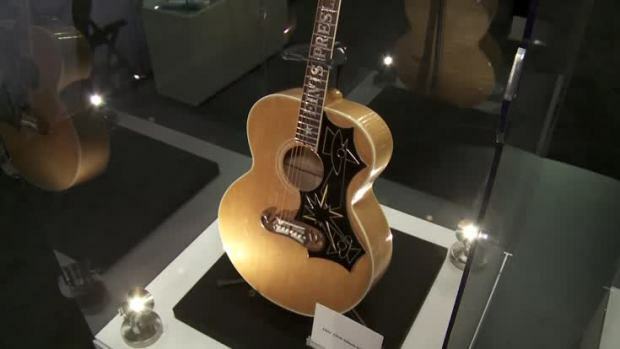 It was wholly owned by the Elvis Presley Trust and his daughter, Lisa Marie Presley, until 2005. Elvis Presley Enterprises is now majority-owned by Graceland Holdings, led by managing partner Joel Weinshanker. Lisa Marie Presley retains 15 percent ownership in the company. The new entertainment complex is part of a $140 million expansion, which also includes a $90 million, 450-room hotel that opened last year. The complex, featuring exhibits of Presley's cars, clothing and other personal items, replaces the aging buildings that housed the exhibits for years. Access to restaurants, gift shops and an entertainment tent where people gathered before the vigil used to be free, though visitors still actually had to buy the food or memorabilia at the eateries and shops. Now, access to them is included in the fee to enter the complex. Cheryl Skogen, of Los Angeles, was third in line waiting on Tuesday morning for the vigil later that evening. "I don't think Elvis would like it if he knew the fans were charged to go up and see," she said. Some fans don't have a problem with the charge. Joe Makowski, who saw Presley more than 80 times in concert and came to Graceland after Presley died in 1977, said it's a good idea because of the cost of security. He also said these types of charges are seen at other tourist attractions. "It goes along with the territory of the popularity of Elvis," said Makowski, of St. Petersburg, Florida. "There's a price for that as well, to accommodate all the people." News of the vigil charge also upset Anthony Stuchbury, of Bolton, England, who has been to Graceland more than two dozen times but did not come this year. "I understand they are a business, and there's absolutely nothing wrong with them making money," Stuchbury said. "But the current price-gouging situation has created so much friction, it's even dividing fans."